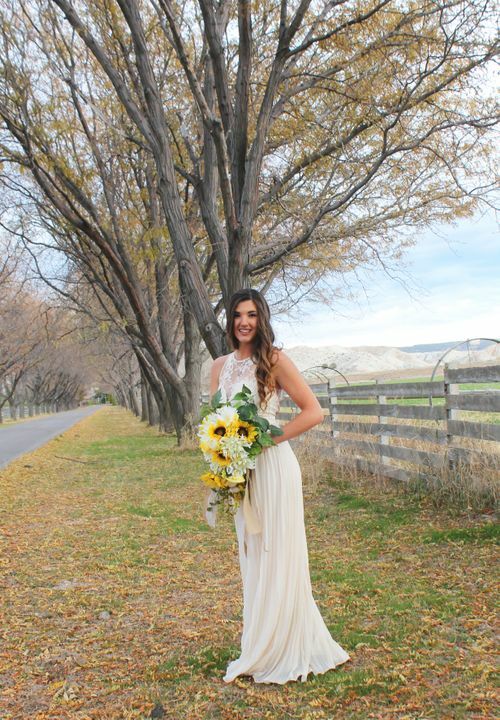 This Beige Pleated Maxi Dress with Embroidered Top is so pretty! Perfect for any special occasion! We love its beautiful embroidered top and flowy, pleated maxi skirt. This dress fits perfectly! It’s so beautiful and exceeded my expectations. Wore this for a “pre-wedding” party and I loved it! I got XL and am 5’7 and about 200lb and it fit just right. I got so many compliments on it and it was so flowy and comfy with me walking around greeting everyone and dancing all night. The back is super cute too. Totally recommend! 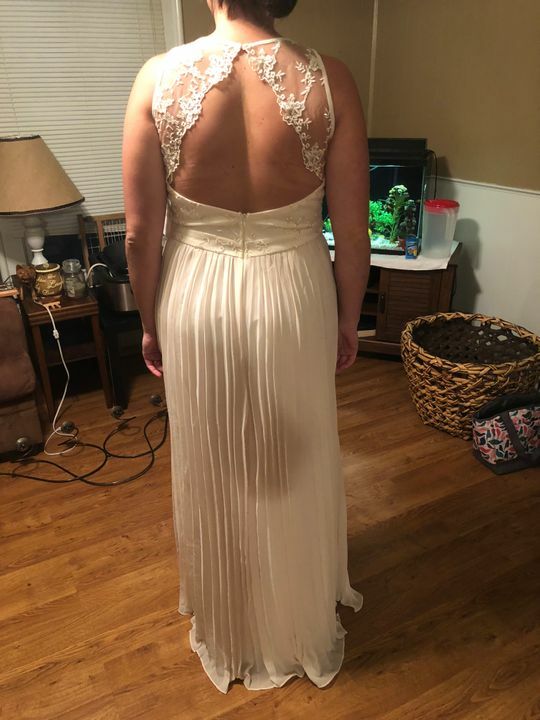 I can’t wait to wear this dress for my reception dinner! It even reminds me of my wedding dress, but no train and less weight! I love the fun open back, I’ve always been so insecure about my back and my bra bulge but this dress is truly flattering on. 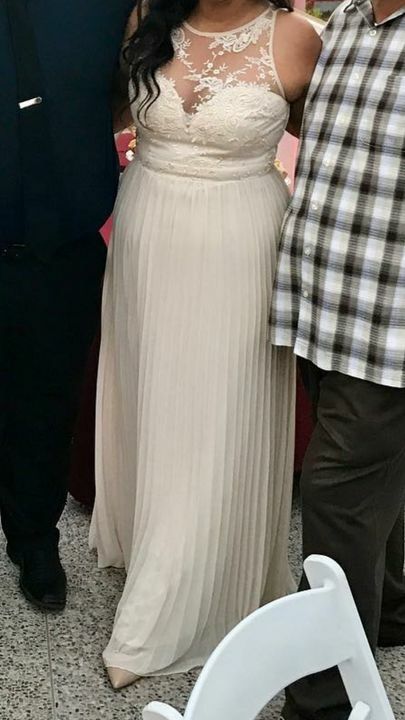 Dress is amazing! Just like in the picture. I love it and can not wait to wear it on my special day.